A columnist from the Wall Street Journal famously quipped: Last time there was this much excitement about a tablet there were commandments written on it. As you all know by now, the iPad has arrived. At first the response to the latest Apple offering was… let’s say lukewarm. Now however, as all of the pieces of the iPad user experience start to fall into place the buzz is starting to grow to a roar as people begin to realize the potential of this platform. It has been said that 2010 is the year of the tablet. 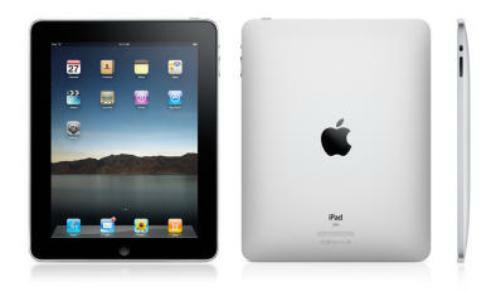 Along with the iPad there are dozens of tablets on the market that both predate it and are trying to play catch-up. So what does the advent of this new web browsing form factor mean for your business, your web site, or your web application? Well not a whole lot. The one area that it might make a difference is in the use of HTML 5. There is a now-famous feud going on between Apple and Adobe that basically has resulted in the prohibition of Flash from all Apple mobile devices. No Flash on iPhones, no Flash on iPads like I’ve mentioned before if you business relies on a site that is Flash-heavy, then there is a growing segment of the mobile user population that will not be able to access it. This is where the iPad and HTML5 come in. HTML 5 is the proposed next standard for HTML. One of the main featuresof this new flavour of HTML is that it does not require plug-ins to support video. This in essence HTML5 has the potential to make proprietary formats such as Flash and Silverlight obsolete. Apple for its part is actively showcasing HTML 5 sites and pushing the standard (http://www.apple.com/ipad/ready-for-ipad/). If 2010 is going to be the year of the tablet; it may also be the year of HTML 5. More and more developers will turn away from plug-ins, which require updates and installation and are only supported by certain browsers, and turn towards a version of HTML that offers inherent support for video and interactive applications. The implications of this shift for small business are straightforward. No longer will you have to pick and choose between which type of technology to use to implement our sites and web apps. No longer will that choice result in the alienation of certain browser users. Most importantly of all, as a user you will no longer be subjected to the indignity of having your browser tell you that you don’t have the required plug-in for the content that you wish to view before being unceremoniously punted off to another website to begin a laborious download and install process. There is still a big question mark over the rate of adoption for HTML 5 and whether it will be a gradual progression or something that web content creators will rush to adopt. One thing is for sure though, it will eventually be the dominant standard and it will change the way that dynamic content is delivered to our web browsers. Dominira Saul is director of user experience design at Akendi an international design firm with offices in Ottawa, Toronto, Vancouver, Montreal and Los Angeles, Dom is a usability expert who has worked both as an interaction designer and a user researcher in a wide variety of market sectors; including telecom, government, finance, health, consumer electronics, eBusiness, eLearning, and network operations.